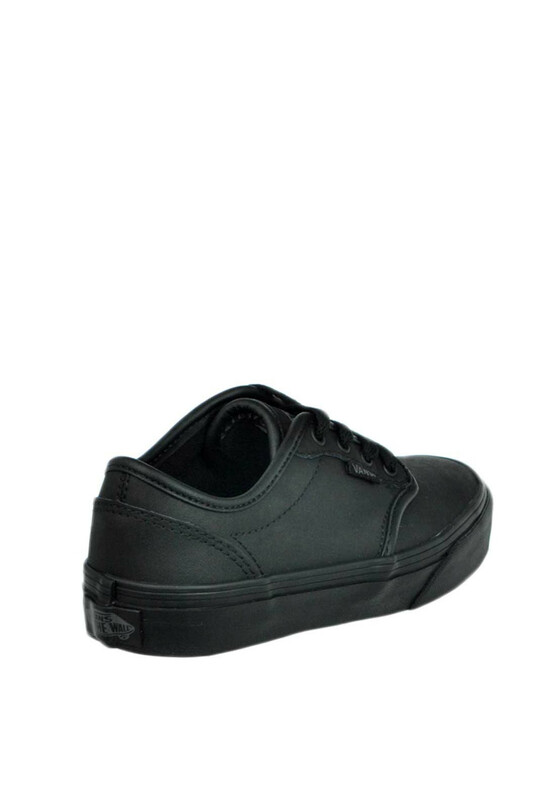 Vans present their iconic Authentic trainers in classic black leather making them a great durable choice for school or play. 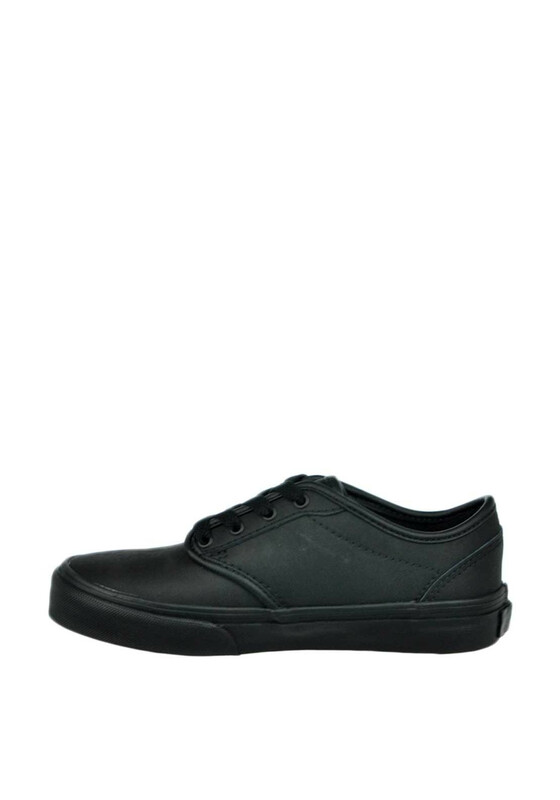 Designed with a low top and featuring a securelace up fastening. 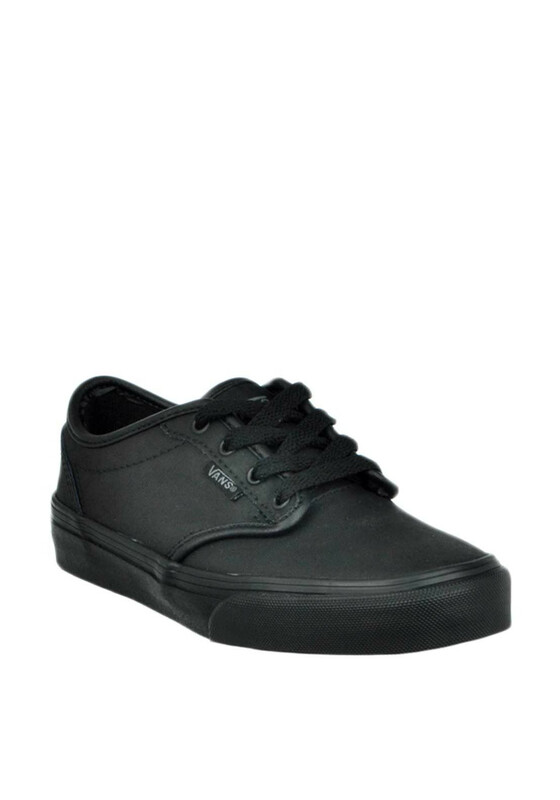 Other details include a padded tongue and embroidered Vans logo at the side.